I started to use Rory and Macror Plumbing 15 years ago for the plumbing and boilers in our flats. He and his employees have always been fastidious in their attention detail, professional hard work and addressing safety. Previously the boilers were my No.1 concern to do with the flats but now I am completely confident that they are properly installed, really well maintained and breakdowns will be sorted out at the first call. In addition Rory has provided excellent advice on plumbing and boilers. Very helpful. Thanks so much for sending David so quickly to sort out my boiler. It was fantastic to have it fixed and come home to a warm house, especially in this freezing weather. I would like to thank Rory again for being so prompt & doing such a good job. Its marvellous to have a central heating system working perfectly, especially after being freezing for most of the winter. Thank you for sending Michael to install my new boiler, everything is working well so far. He is a very good worker and is conscientious and very thorough. We would like to thank your staff for the competent and helpful service we have received from them in the last few weeks. We have found your telephone receptionist (Wilma) to be polite, efficient and effective and therefore a promising first point of contact with you. We have also been very pleased with your engineer, David, who has been out on two unrelated visits to us. We would recommend his services to others as prompt, knowledgeable, tidy and effective. We would like to call you again when our next boiler and central heating service is due. Thanks for the excellent job you and the guys have done. Everything is working well and the house is much warmer and heating more controllable now too. Your accommodating approach to answering our questions and installing to meet our needs is difficult to find these days. The attention to detail was excellent throughout and your customer service has been second to none. I’d be very happy to recommend you and your team to anyone. I just wanted to write and say thank you for the really top notch work and service you and your team recently completed for me. Not only were you significantly cheaper than the British Gas quote I received but I did not have to spend hours waiting on the line at call centers nor have to book times convenient to everyone except me! 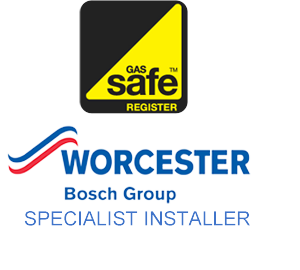 I felt your service was more personal and more transparent than any contact I had with British Gas and I am delighted with the results – a toasty warm house, lovely hot water and all with one boiler instead of the two that British Gas were recommending! Thanks – it is so refreshing to have a smooth, successful experience on a major job like this! Best of luck with your business – you deserve every success. I am enclosing a cheque for my boiler installation; you have no idea how nice it was to come home to a warm house on a Friday evening. You engineer obviously worked hard. I am so grateful to you, your engineer and your company because you did what you said you would, when you said you would, that is so rare these days. I will happily recommend you to my Friends. Rory we are delighted with the splendid job that you did in installing the boiler out of the way and so conveniently into the loft. Getting the gas supply up there too was brilliantly done and with so little disruption. Many thanks to you, for advice and expertise and to Michael for his great assistance. Many thanks for the plumbing work that was carried out for me. I am very happy with the result. Your Engineer was very helpful indeed and i shall definitely be recommending Macror Plumbing to friends and family. I believe in reporting where a service has been above and beyond what I expected. I called through to enquire about plumping services and whilst my query couldn’t be dealt with immediately you called back when you said you would. Secondly you were able to agree a time for a plumber to call that suited my demanding timetable and rather than it being in a fortnight’s time in was in 48 hours. Thirdly the plumber arrived exactly on time – an occurrence that very rarely happens. He was knowledgeable and inspired trust immediately – again a quality often lacking in many of your competitors. Finally and most importantly the problem was identified and a solution offered. Whilst this meant a short delay in obtaining the necessary part, I was kept fully informed about the progress and likely date for the part to be received and ordered. …In short, a fine service that stands Macror Plumbing well ahead of any of your competitors. Thanks for the work completed. Balance paid. Phil is a great worker and a real asset to your company. Just a quick note to say how impressed I am with the work Shaun has done in my flat (Earlsfield Rd) Shaun arrived on time and did a very professional job. He was very thorough but was clearly working quickly and efficiently. I was pleased to see his concern of the safety of the flat and he worked hard to troubleshoot and ensure my property was fit for certification. I am also impressed with the flexibility he has shown in getting the job done quickly and professionally. Because of Shaun’s work and Macror Plumbing’s competitive rates, I will absolutely use your services again and I will recommend you to my friends and associates across London too. Thanks so much to you and your team for my lovely new bathroom, I very much appreciate your attention to detail and wouldn’t hesitate to recommend your company to friends and family. We would both like to say how pleased we are with the work that your Company has done on our flat, not only the kitchen installation, but also re-fitting the two bathrooms and our boiler replacement. We were particularly pleased with the professionalism, speed and punctuality with which all the work was carried out. Thank you very much. I just wanted to drop you a line to say how impressed we were with the work that your company did at our house last week. The Engineer was excellent – he was resourceful, conscientious, bright and the kids liked him! It was refreshing to have someone in the house who was positive, can-do and solutions based as opposed to normal sharp intakes of breath and head shaking one often experiences in this country. In addition, we were also impressed with your ability to provide a same day service and also to finish it on Saturday as opposed to Monday. Although it was a challenging leak to resolve, your engineers persistence and efforts repaired the problem and with a minimum of cosmetic damage. So do please pass on our thanks to him and rest assured that we will be recommending you to friends in the area. I would like to thank both Rory for all your help. It is so refreshing that the engineer was so punctual, efficient, tidy and professional. I would regard Alice and I as fairly easy customers, but it is still amazing how often people turn up late (if at all), make such a mess that it looks like a bomb has gone off rather than a bit of plaster, and lack any social ability at, let alone the ability to be polite or smile. It has therefore been a joy to deal with you all and positively look forward to finishing off the kitchen, doing the bathroom, and recommending you to anyone who will listen.